Hamilton Academical defender Jesus Garcia Tena has signed a contract extension to stay with the club until May 2016. 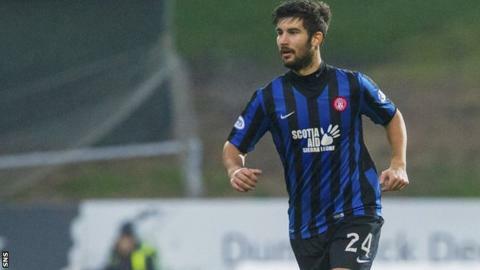 The 24-year-old from Spain joined Accies from Livingston in 2013 and helped Hamilton win promotion to the Scottish Premiership for this season. And he has been a regular in the top flight for player-manager Alex Neil's side so far this term. Neil's team take on Motherwell at New Douglas Park on New Year's Day.